The days of having an undersheriff at the Columbia County Sheriff's Office may be officially over, at least for now. 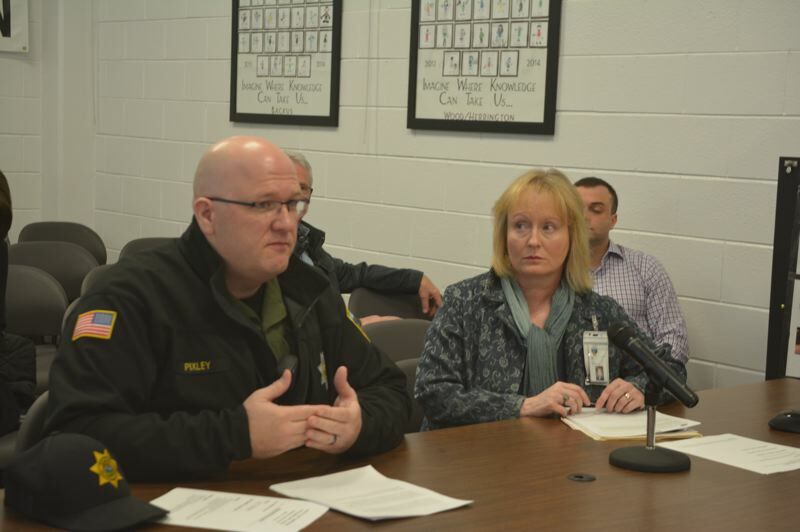 On recommendation from Sheriff Brian Pixley, Columbia County commissioners voted to remove the undersheriff position from the Sheriff's Office's employment matrix, opting instead to create a permanent position for a chief deputy. Steve Salle was appointed as chief deputy for CCSO by former Sheriff Jeff Dickerson before his exit last spring. Salle continues to serve in the position, but the county hadn't made the job a permanent title within the organization until Wednesday. Pixley said the creation of the new chief deputy position — which serves as second-in-command to the sheriff and can assume the duties of sheriff in the event of a vacancy — will allow him to start recruiting. Pixley said earlier that Salle has plans to retire this year, so the Sheriff's Office will soon start the hiring process. "My hope is to cast a wide net to find the right person for this position," Pixley told commissioners, noting CCSO plans to do nationwide recruitment. Having a chief deputy would get rid of a currently vacant undersheriff position and the new candidate will also serve as an enforcement captain, Pixley explained. "I think what this does is eliminates the problem we ran into last year when we didn't have an undersheriff or a chief deputy," Commissioner Alex Tardif said, referring to the board's attempt to find an interim sheriff when Dickerson announced his plans to retire from the elected sheriff position before his term was up. "The undersheriff would not have been able to just step in and take over for the sheriff," Sarah Hanson, county counsel, told commissioners Wednesday. The new position will be listed at grade 7 within the county, which is one salary grade higher than the previous undersheriff position.